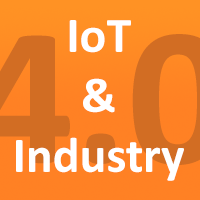 The Industrial Internet of Things refers to the use of uniquely identifiable devices that can connect with one another wirelessly in order to aid the manufacturing process. With the increasing sophistication of wireless technologies and the development of industrial computers, modern devices are becoming more and more useful in manufacturing. The cost-effectiveness and efficiency of this technology makes it an integral part of Industry 4.0, which is concerned with bringing manufacturing up-to-date with the latest technology. The technology for devices communicating with one other wirelessly has been around for some time now. You only have to look at the oil & gas industry to see that this is the case, with refineries having established large and complex systems of communication involving thousands of components. The devices available nowadays have become more sophisticated at handling data, and are capable of exchanging that data in larger quantities. These devices are also smaller, smarter and more capable of monitoring their surroundings in order to accurately complete the complex tasks required of them in the factory environment. PC-based controllers are central to Industry 4.0, owing to their capabilities in performing many types of operations. From working with barcode readers to receiving data from vision cameras and valve actuators, an industrial computer is capable of fulfilling many roles in the modern manufacturing environment. As more devices are implemented into a system capable of sending diagnostic information wirelessly, the ability for PC-based controllers to receive and evaluate many communication protocols is key to a modern manufacturing operation.